Regulations banning the display of tobacco products have had a huge impact on how the point of purchase looks in a retail environment. From being the area that represented the best of retail display this area is quickly becoming detached from the rest of the store in appearance and use. 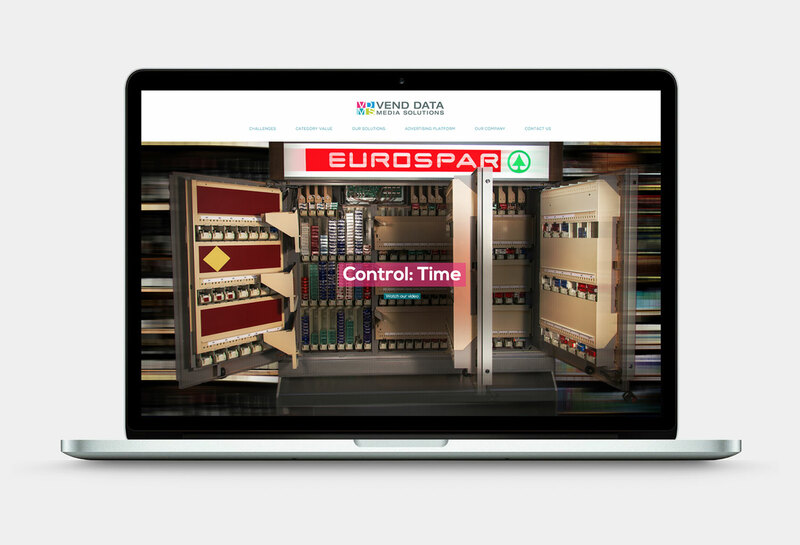 Established in Ireland, Vend Data Media Solutions produces electronic, remotely configurable vending machines for tobacco products. This vending machine can stand-alone or be integrated to your point-of-sale system. The machines have integral software for use in real-time monitoring and automated reordering of stock, monitoring of sales and transactions with digital advertising and information screens. Challenge: To create and build a brand presence in the UK, Canadian and Australian retail marketplace and position Vend Data as the premiere solution provider to eliminate shrinkage in the tobacco retail industry. 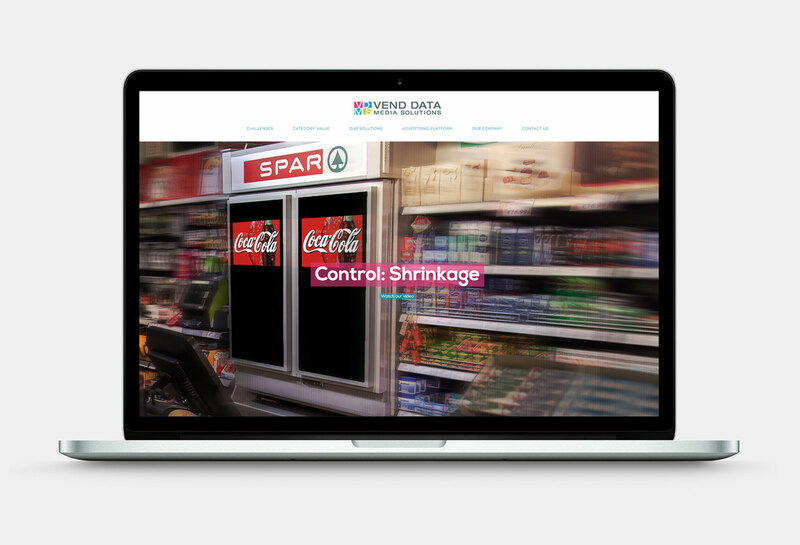 We worked in partnership with Vend Data Media Solutions to conceptualise a strategic approach to bring the brand to life. 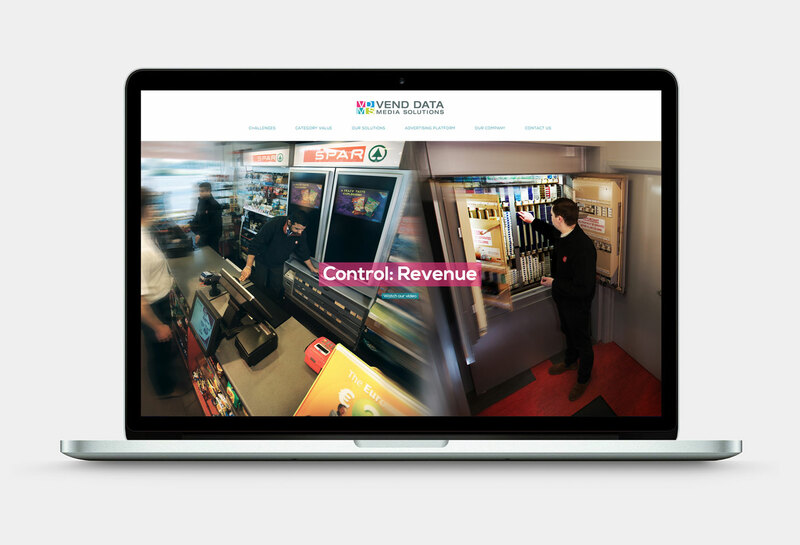 Solution: The production of a 90 second video and intuitive web site that illustrated how Vend Data can help a storeowner maximise the value they can get from their tobacco. The animation highlighted the challenges of selling tobacco, and how reduced shrinkage drives revenues, while benefitting from real-time sales information. It also showcased a valuable point-of-sale digital advertising platform. 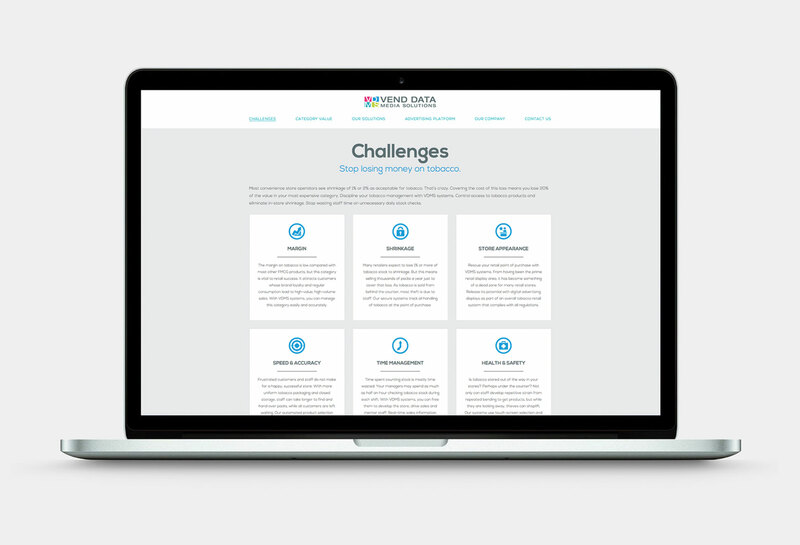 The design of the website was deliberate in its retail approach, supported by a simple but effective ‘call to action’. 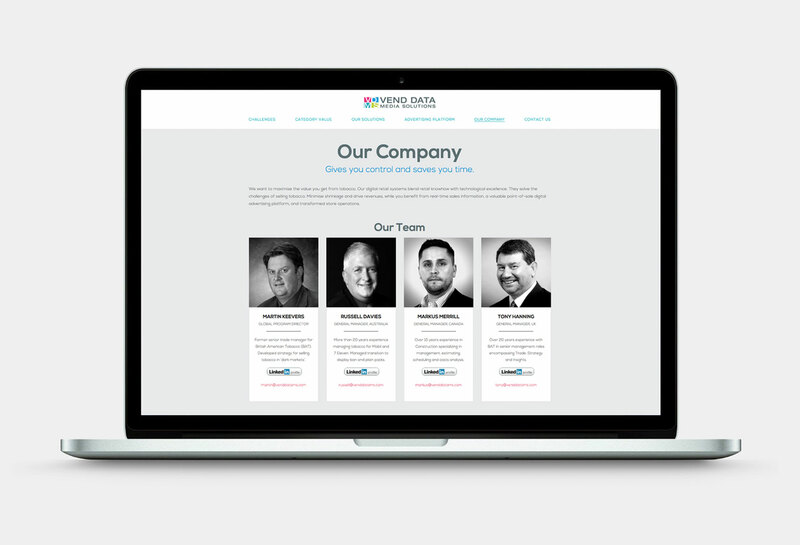 The result was an effective user-friendly experience with a forward-thinking responsive design. Vend Data Media Solutions units are now active throughout the UK, US, Canada and Australia. "I have employed O’Shaughnessy Creative on three separate occasions. Firstly, to build our website at VDMS – venddatams.com and then to produce two promotional videos to show case our product range." "Chris has provided an excellent high quality service on each occasion. He has the ability to capture the essence of what is offered and deliver a really innovative product. Chris has used all elements of digital advertising to support my company and has played an important role in our entry into the UK, Australia, Canada and the US. I will continue to rely on Chris as we expand our organisation."